We live in interesting times. Just look at the insanity unfolding in the race for the White House. I won’t get into specifics (Giant Douche vs Turd Sandwich) but suffice it to say, a little humor makes the pain go away, if only for a moment. 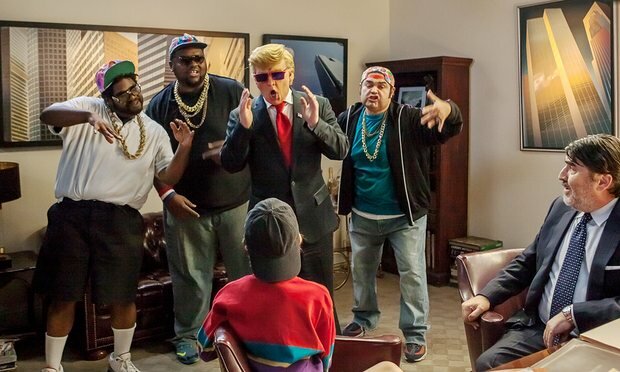 Enter Funny or Die, and their send-up of Donald Trump with The Art of the Deal: The Movie. 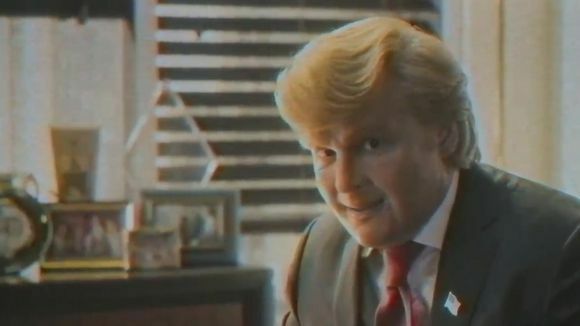 The film is presented as lost footage of Donald Trump (Johnny Depp, Edward Scissorhands, Yoga Hosers) describing the various sections of his book of the same name to a young boy who comes across his office. He offers up backwards anecdotes including the meeting of his wife Ivana (Michaela Watkins, TV’s Casual, The Back-Up Plan) and his negotiations with Merv Griffin (Patton Oswalt, TV’s The Goldbergs, Ratatouille). While the film is attempting to be a bad movie, not all of the laughs hit. 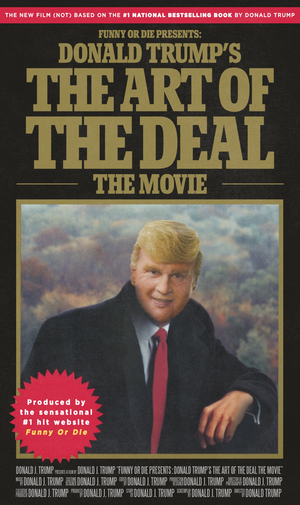 For the most part, The Art of the Deal: The Movie is a reminder, a chilling reminder of a possible future with this man in the White House. Ugh. Perhaps in context a few years down the road, the film could be quite laughable, but right now, it just hurts. That being said, I love Johnny Depp’s portrayal of The Donald. It is funny how he tries to direct his own film and comes off as batshit crazy in the process. I also really enjoyed the VHS degradation of the lost film and how it is presented by Ron Howard for added significance and gravitas. And who could find wrong in the theme song from Kenny Loggins? Cheese abound is a good thing, and it occasionally hits comedic gold in Funny or Die presents Donald Trump’s The Art of the Deal: The Movie. Not often mind you, but occasionally. If all goes well, I’ll probably revisit this film in a few years once I’ve calmed down.